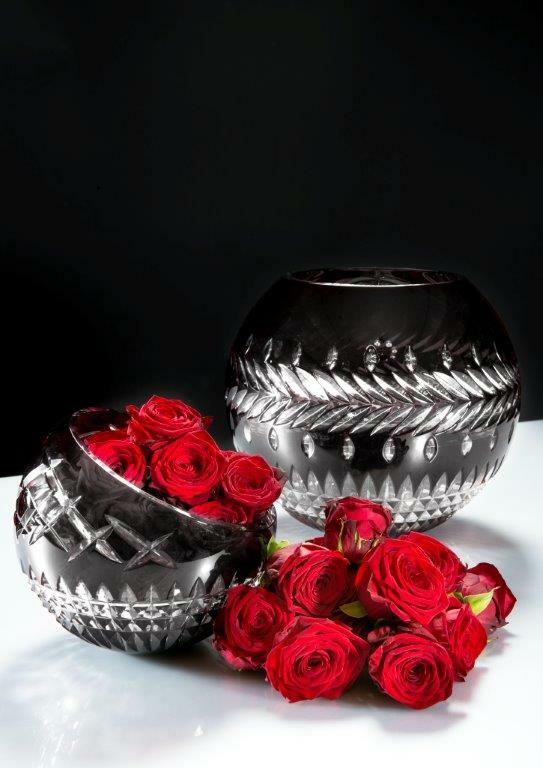 These two vases combine the tradition of Waterford Crystal with the design sensibility of Jeff Leatham, Artistic Director of the Four Seasons Hotel George V in Paris. Established in 1783 in Waterford, Ireland by brothers William and George Penrose, the Waterford company has established itself as one of the finest makers of crystal for over 200 years. Their Fleurology Collection is described as “the union of fine crystal and floral artistry as it relates to individual style, creative expression, and gracious living,” achieved through a variety of exquisite shapes and cutting patterns. Though true to the Waterford design aesthetic, the pair of vases bears Leatham’s innovative take as one vessel allows the flowers to be displayed upright, while the small bowl displays the flowers leaning on a delicate diagonal.